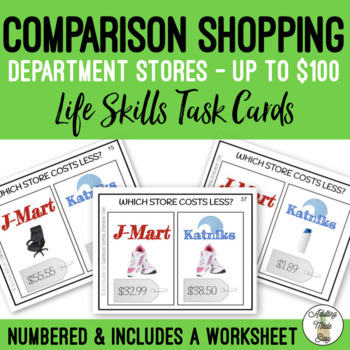 40 Department store comparison shopping task cards up to $100. 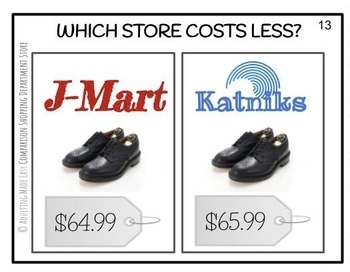 (4 per page) Great for special education and visual learners. 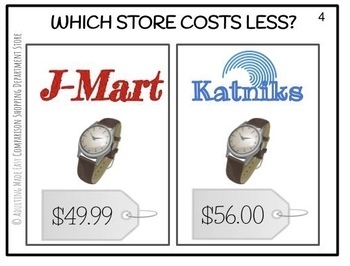 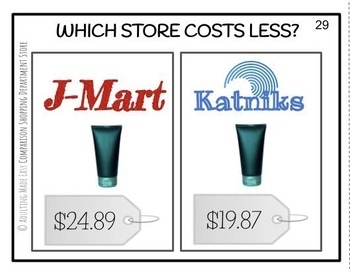 Student is to determine which fictitious department store is selling the item cheaper (for less).